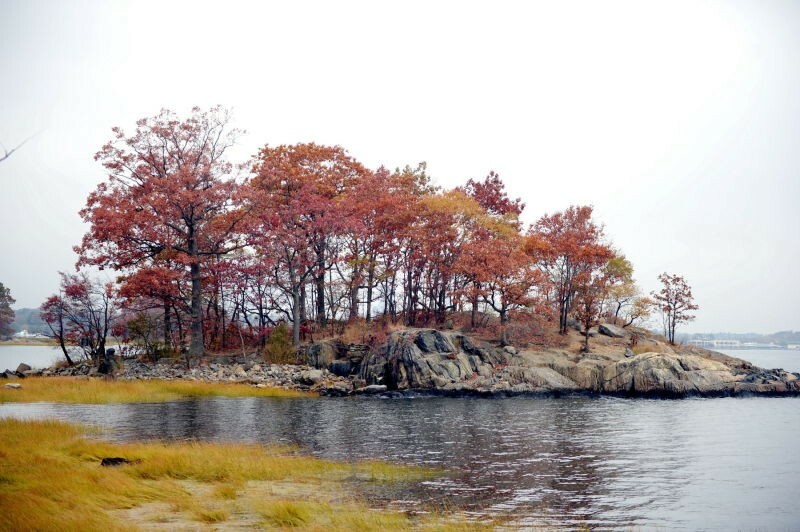 More than three times the size of Manhattan’s Central Park, Pelham Bay Park is the City’s largest park property. 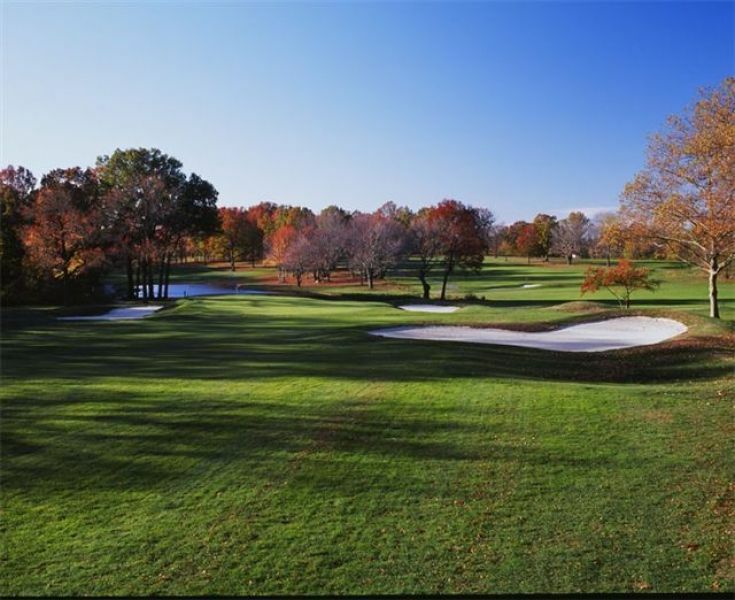 Visitors to the park enjoy miles of bridle paths and hiking trails, Orchard Beach, the Bartow-Pell Mansion, two golf courses, and a breathtaking 13-mile saltwater shoreline that hugs the Long Island Sound. The native Siwanoy Native Americans originally inhabited this area, attracted by the plentiful deer, turtle, and sturgeon. When the Dutch West India Company purchased the land from them in 1639, they termed the area “Vreedelandt,” meaning land of freedom. However, after years of unsuccessful attempts to occupy the land, the Siwanoy still controlled the area. The most famous of these failed communities was the short-lived English colony founded by Anne Hutchinson in what is now the northwest corner of this park. Having fled religious persecution in Puritan Massachusetts, Hutchinson and most of her party were killed by Native Americans just a short time later in 1643. The nearby Hutchinson River bears her name. Englishman Thomas Pell purchased 50,000 acres of land from the Siwanoy in 1654. Parkgoers can visit the site of the tree where he and Siwanoy leader Chief Wampage made their pact. In 1666, King Charles II chartered this land as part of the Manor of Pelham. During the Revolutionary War, Pell’s land was part of the buffer between the British-held Manhattan and rebel-held Westchester. Hiding behind stone walls, 600 Massachusetts Patriots stopped the British and Hessian forces from making their way north from Rodman’s Neck. Remains of the walls can be seen in the Split Rock Golf Course. A plaque at Glover’s Rock commemorates this battle at Pell Point. After the Pell family sold most of the land, Robert Bartow, a publisher and Pell descendant, purchased the remainder in 1836. He built the Bartow-Pell Mansion in 1842, a grey stone mansion with Greek Revival interiors located on Shore Road. It remained in the family until 1888, when the City acquired the estate. The mansion and its grounds have been maintained by the International Garden Club Incorporated since 1914. The site opened as a museum and educational center in 1947. The park’s other historic residence, Hunter Mansion, was built in 1804. It once housed a collection of fine wines as well as paintings by European masters. Today only fragments of the foundation and landscaped features endure. In the late 1800s, Bronx resident and founder of the New York Parks Association John Mullaly spearheaded a movement to retain some of the natural areas before they were destroyed by overdevelopment. The State Legislature appointed a commission to acquire large tracts of land to form a Bronx parks system. Pelham Bay Park officially became Bronx Parks Department property in 1888 when the City of the Bronx purchased the land for a total cost of $2,746,688 and changed the collection of estates into a unified park. The original site was over 1,700 acres. 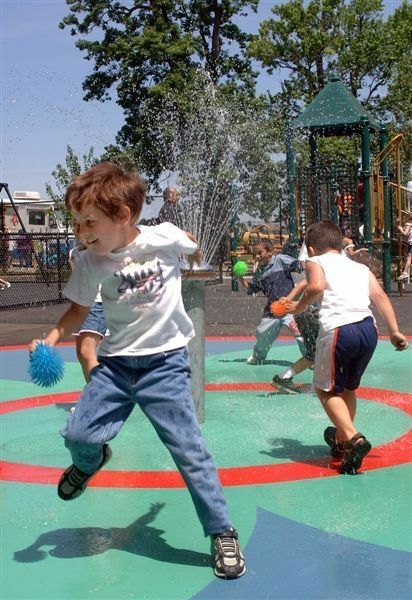 The park evolved from natural woodland into an enhanced recreational facility when Parks Commissioner Robert Moses (1888-1981) filled the park with playgrounds, comfort stations and other amenities. He upgraded the Pelham and Split Rock Golf Courses in the 1930s and began one of his most ambitious park projects: the building of today’s Orchard Beach. Eager to increase public use of the area, Moses initiated an $8 million project that added a new parking lot and a 90,000-square-foot bathhouse complex. When it opened in 1936, the landfill-fortified beach attracted thousands of bathers. In 1947, the beach was extended 1.25 miles by filling in the shallow water in LeRoy’s Bay between Hunter and Twin islands, adding 115 acres of parkland. When the Department of Sanitation received permission to use the area south of the Pelham Bridge as a landfill, conservation groups succeeded in having the State designate 375 acres of marshland as a wildlife refuge. The Thomas Pell Wildlife Refuge was created in 1967. Renovations continue each year. A $2.3 million project funded by Mayor Rudolph Giuliani and Borough President Fernando Ferrer to reconstruct portions of the Bathhouse at Orchard Beach was completed in 2000. That same year, Mayor Giuliani partially funded an $893,000 restoration of a salt marsh at Pelham Bay Lagoon adjacent to the northwest corner of the Orchard Beach parking lot. In 2001, Council Member Madeline Provenzano funded a $600,000 monument conservation that benefited several monuments in the park including the Bronx Victory Memorial (1933) commemorating the Bronx casualties in World War I.
Click here to view the visitor’s guide. By Car: The Bruckner Expressway/New England Thruway has two park exits, “Country Club Road/Pelham Bay Park” and “Orchard Beach/City Island.” So does the Hutchinson River Parkway at “Pelham Parkway East” and “Orchard Beach/City Island.” Pelham Parkway serves as a cross-town route to the park. By Bus: The Bx12, Bx29, Bx5, Bx52, and Westchester Line number 45 serve the park. 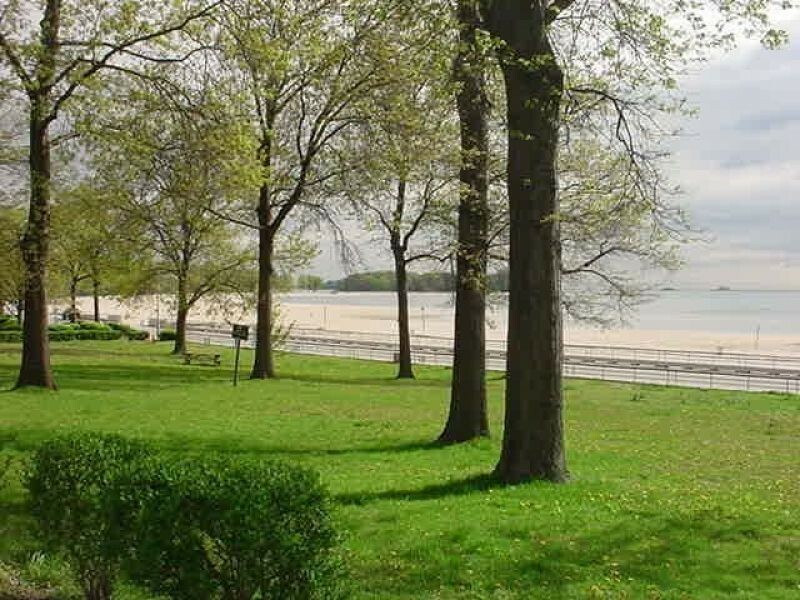 Orchard Beach is served by the Bx5 and Bx12 buses during the summer only. During the winter, take the Bx29 to the City Island Circle and walk to the beach. By Subway: Take the IRT Number 6 line to its last stop, Pelham Bay Park. The largest park in New York City! By Car: The Bruckner Expressway/New England Thruway has two park exits, "Country Club Road/Pelham Bay Park" and "Orchard Beach/City Island." So does the Hutchinson River Parkway at "Pelham Parkway East" and "Orchard Beach/City Island." Pelham Parkway serves as a cross-town route to the park.